What is a balanced parenting style for toddlers and preschool-aged children? What is a balanced parenting style for toddlers and preschool-aged children? Here are 3 answers. The idea of parenting styles is fairly new. It started with just four or five. Some were more strict than others. Some more loose than others. Some more applauded than others. These days, modern parenting is taking on new forms of these so-called ‘styles.’ People are labelling themselves as “gentle parents,” “conscious parents,” or “tiger moms” and “elephant moms” (or some other animal reference to being a parent). Millennials are being called, ‘entitled’ for the way they were raised. There is also the criticism of “snow plow parenting.” And then there are the jokes, refutations and defences regarding parents who don’t say “no” to their children. Clearly, some people in the world are concerned about how they were brought up (whether strict or loose). They want a ‘fix’ for generational parenting issues. So then, what is the most balanced parenting style to encompass the best of all theories? 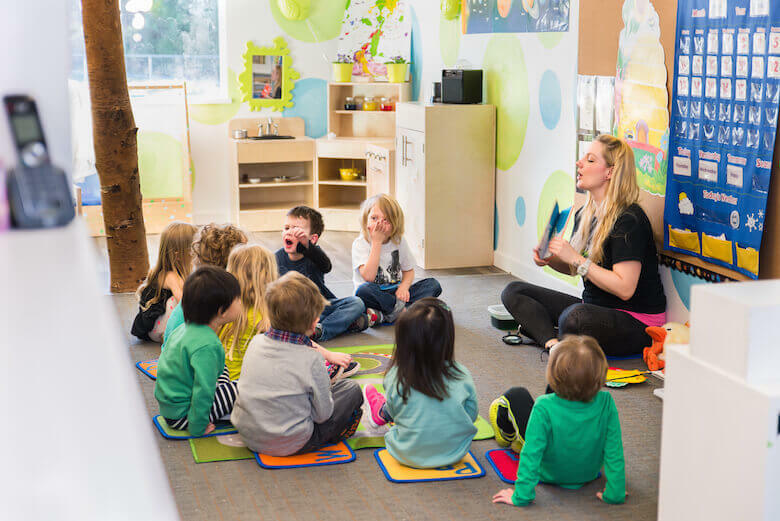 While we can’t answer to the ‘fix’ for all parenting problems and styles, we can say that we spend a lot of time around toddlers and preschoolers, since we run three daycare centres! We’ve also dealt with a lot of parents and caregivers over the years. We’ve seen problem behaviours, special needs children, ‘good’ kids, and basically, all the ‘types’ of children you can think of. So, in this article, we’ll give you our answers for the question: what is a balanced parenting style for toddlers and preschoolers? This point is very much to do with conscious parenting. This type of parenting stems from a book by Dr. Shefali on this subject. You can read part of the book here. Conscious parenting can overlay other forms of parenting styles, whatever you want to label them. The idea is that the parent should first be conscious of what governs their own parenting style. It could be because they were raised the way they are raising their kids. It could be a reaction to the way they were raised. It could be misconceptions, hidden fears and obsessions, or something else buried deep in the psychology of brain. Namely, this point is to address the reactions we don’t want to have with our kids. Toddlers and preschoolers are so new to life. It’s hard to truly blame them for their mistakes. How would they know any better? A lot of the time, the intentions behind their mistakes are not that bad. They just don’t know – plain and simple. So they do it. It’s stupid for an adult, but not for a clueless child (more on that below). Yes, they need to learn to not do it again. But, was it really their fault that they didn’t know? Also… the damage of colouring on walls is not that bad, considering how much worse life could get. This is small, in the grand scheme of things. As are most mistakes kids do. For families with healthy, functional, developmentally progressing kids, these upsets will pass very easily, most of the time. But… we have parents who can react in a way that is really, an over-reaction (or an under-reaction!). Actually, everyone is susceptible to yelling at their kids for this reason or that reason – whether they deserve it or not. For the ‘over reactions’, many parents also feel guilty about it later. Why? The parent probably realizes that the problem was not the child’s fault. And the child had no way to defend themselves. They are helpless in that sense. They only know what parents tell them. Parents are their protectors. Parents who put them in fear all of a sudden (in their reality), can be a scary feeling for a helpless being. No ‘normal’ parent wants to be the one to put their child through that. The ‘under reactions’ can be not doing anything. No lesson, just letting it go. That’s not balanced either, by the way. Guilt for that can come much later in life, when it really starts to show how unprepared for life the child has become. This is where the adult’s consciousness comes into play in conscious parenting. This is why we say that the psychology behind parenting is very much about the parent, too. The parent needs to examine their own selves. They need to understand why they react the way they do. In this article, the writer gives an excellent analysis of a situation that could have turned into a parent yelling at a child. But instead, the parent paused to understand her internal need for control as a result of her out-of-control upbringing. So, instead of reacting outlandishly at her daughter, she recognized that the situation was not a big deal. She could clean up. She could teach her child without yelling. She could thus provide good, helpful, nurturing memories for her child. In this way, the parent child-relationship can grow and develop, instead of being rifted. And, by “relationship” we don’t mean parents and children are ‘equals.’ Children should still know their parents have authority. But, understanding your own psychology as a parent can help you have a healthy view of your child as being capable of learning new lessons. That is, as opposed to viewing your child as supposedly knowing all information already. Thus, your child can develop a positive view of you, so they’ll hopefully want to stay close. They’ll want you to be their guardian and guide, ideally. Do not burden them with situations they cannot control. Do not ask them to deal with adult issues. This is sound advice. It’s short, it’s simple and it’s easy to follow. But guess what: many parents forget about this. Dr. Phil’s point is enwrapped in the issue of children having to deal with dysfunctional grown-up relationships. For example, unhappily married, divorcing or ‘deadbeat’ parents. Arguments ensue in the household, and children get affected. As teens, or even school-aged kids, the responsibilities that get borne by them as a result of these situations can also be too much for them. However, since this article is about parenting styles for toddlers and preschoolers, we will take Dr. Phil’s point down another road, where we believe it is still applicable. This also relates closely to our first point, about understanding your own triggers before reacting to your kids’ mistakes or annoyances. Parenting should be age-appropriate. It is absolutely not balanced parenting to expect that your toddler or preschooler will behave like an adult, or even an older (or younger) child. Toddlers and preschoolers can be wild. They want to play all the time. They don’t sit still. They don’t all eat at set meal times. They go to the bathroom at the worst times possible. They make a mess. They have a hard time with two-or-three part instructions. But they are assertive, too. They voice opinions, and they want to be validated. That’s just their nature. It’s human. And it’s totally ok. They are developing – physically and mentally. So, when they ‘demand’ to stay at the park when it’s time to go home, or refuse to wear clothes, that’s part of growing up. If they climb up their change table and cover themselves in diaper cream while you’re not looking for two seconds, you don’t have to panic. These can be seen as good things – really! This is how they learn. These are science experiments, if you think about it. We are not saying that you shouldn’t react at all to these situations. It means you should react appropriately for their age and understanding. And that means understanding their point of view, or changing your perspective. You are, after all, supposed to be the more mature one in these situations. When young children need a lesson (notice we are not saying, ‘punishment’), it needs to be something they can absorb. It also needs to be explainable to them. One general, non-scientific piece of advice that parents talk about is 1 minute of ‘time out’ for each year the child has lived. So, if they’re 1, that’s one minute of time out (if you can make it last that long!!!). If they are 5, it’s five minutes. That’s just one example of attempting to be ‘age appropriate.’ It’s not a hard and fast rule. So, let’s say that we all agree one minute of time out for each year of age is developmentally appropriate when a child needs to learn a lesson. Then, we could say that 5 or 10 minutes for a 1 year old will go way beyond their understanding. If you make a 1 year old sit still in a corner for 10 minutes as punishment, you’ll probably get a worse reaction than you bargained for. That will lead to some other behavioural outburst, which, in about half an hour, will have you wondering, ‘what just happened?’ And, guess what? It’s possible no lesson will have been absorbed. They’re just too young for that. It will probably take a lot of repetition and consistency on your part before they ‘get’ that their timeout had anything to do with their prior action anyway. Or at least remember it for future occasions. So, one minute is ok, in this example. It’s up to you to be consistent with it, and to recognize that no child is going to ‘get it’ after just one timeout. If they never knew to begin with that colouring on walls is wrong, don’t start with a punishment like timeout. Start with an explanation. Then, if it happens repeatedly, reinforce the lesson with timeouts. Calmly! BUT – zero time out is needed for things they can’t control. Like their bladders, for example. If they wet the bed at age 5, relax. Don’t freak out. Find a solution (like those rubber mattress protectors). Ask your child for details. Did they have a nightmare? Try a reward system for not peeing the bed (like stickers on calendars). Google it. They are not teenagers doing it on purpose. Their body can’t help it. Using another example, if really kids are given chores, they can’t be your chores. Give them age-appropriate chores. Don’t expect them to sweep and mop entire the floor at age 3, if they can’t handle it (and if you truly want the job done properly!!!). But do ask them to put their toys away. They can also carry the melon or cabbage from the car to the house when you go grocery shopping. Though again, the concept of appropriate chores is not a hard-and-fast rule. Some toddlers and preschoolers are more mature than others. It will be up to you as a parent to gauge what is developmentally appropriate for them. And, going back to Dr. Phil’s rules, please, don’t ever argue or engage in screaming matches around young children. They don’t need to see that. It’s scary. It’s destabilizing to their idea of what life is at this stage. It’s traumatic. They love the adults in their life. They don’t need to deal with the fear that those adults are hurting each other. Keep adult issues out of their lives. It’s not their problem at any age – let alone in the toddler or preschooler years. They don’t deserve it. It doesn’t matter who started it or who’s fault it is. Keep it away from your children. So, you know how, above, we mentioned that some parents are choosing to not say “no” to their kids? Some people hear that and already sense a joke coming. How can you not say “no”, ever? Well, if you read more into what these parents are saying, it’s not that they want to let their children run wild. It’s not anarchy. It’s about the two principles we brought up above: 1) recognizing where your own reactions come from and 2) giving kids an appropriate reaction for their age. What they are saying is that, “just because I said so” is not a reason for anything. That is a power trip. It’s a top-down view a child. It gives the child no voice, and no reasonable logic to follow for future life situations. The idea of punishment may have its place, depending on your definition of it. But our point in differentiating discipline and punishment is about avoiding over-reactions. Yes, you absolutely need to teach your child lessons as a parent, rearing them for world-readiness. If that means sometimes saying “no”, others would definitely agree with you. If it means finding another way to instill those lessons without extreme, unnecessary, damaging reactions, then that’s ok too. Here is a question you can ask yourself the next time you want to react to your child’s behaviour: are you taking this action because you’re angry or because you have a long-term goal to teach your child a valuable life lesson? If you’re only doing it because you’re angry, you’re probably producing meaningless punishment, and not discipline. Discipline teaches things. Anger-based, control-motivated punishment breeds resentment. You may also just ‘wish’ your children were different than they are, when in reality, nothing is wrong with the way they are. Punishment is not necessary in these cases. Maybe they’re naturally loud and you wish they were more quiet. That’s not wrong. It’s just annoying – to you. It’s ok to ‘let go’ of your ideals. Take, for example, the experiment that this mom did. She considers herself a “gentle parent.” However, she still believes in saying, “no,” because children will have to face that in life at some point. But for a short period of time, she tried to see what would happen if she only said, “yes” to her kids. Guess what – she learned a lot! She learned that good memories can be formed when kids are allowed to be kids. So while she may not let her kids live the rest of their lives only hearing, “yes,” she certainly learned a lot about the opportunities when she can say “yes.” Those times may not turn out as badly as she’d expect. In fact, they may turn out for the better. You’ll notice that our 3 answers for ‘what is a balanced parenting style’ have a lot of overlap. We also tried to be inclusive of different ideals, while bringing out examples that form principles of a balanced parenting style. In truth, we can’t really say that there is one ‘best’ way to parent. Yes, there are ‘bad’ parenting styles, but those are extreme cases that we’re guessing most of society isn’t really talking about when they’re looking for answers on how to be a good parent. And just for the record, by ‘extreme’ we don’t mean the tiger moms and snow plow parents. We really mean, extreme. Anyway – parenting can evolve. So can parenting styles. It can be based on culture, religion or generational values. If you want the best for your child, you’re probably already on the path of doing your best, in one way or another. The fact that you read this far in this article says a lot, too! Though, you may find that you don’t fit into any one definition of any popular, pre-labelled parenting style. It’s possible to form your own, based on your values, too. Also, if you’re worried that you’ve done something wrong, realize that parents make mistakes. All of them do. Because humans make mistakes. And parenting is hard. It really is. That doesn’t mean you should try to make mistakes, or excuse your mistakes. But it does mean that you can atone for past parenting mistakes (big or small). It also means you can still work towards being a better parent, without letting mistakes hold you back. The good news is that if your child is still a toddler or preschooler, you’ve still got some time to figure this all out! You’re probably in the same boat as a lot of other parents at this stage in life. We would recommend connecting with other parents of toddlers and preschoolers. We’d also recommend seeking professional advice from parenting coaches, doctors, family therapists and the like, if you have more questions about the best parenting style for you.